After the forty-second failed take of what should have been the heartrending climax of his zombie masterpiece – in which a frantic and teary Chinatsu (Yuzuki Akiyama) confronts her zombie’fied love interest Ko (Kazuaki Nagaya) – director Higurashi (Takayuki Hamatsu) storms off-set in search of a solution. What could possibly breathe some life into the lifeless performances of his emotionally stunted and talentless cast? A live zombie, of course. What ensues is a gory, zany, relentless, one take haunted warehouse zombie chase – punctuated only by the director’s frenetic screams of “DON’T STOP FILMING.” We get it all – the shrieks of horror, the breathless chases up and down stairwells, the car that won’t start, the various types of spatter and foams, the flying dismembered limbs and decapitated heads, the boyfriend turned zombie. But ONE CUT OF THE DEAD doesn’t stop there. 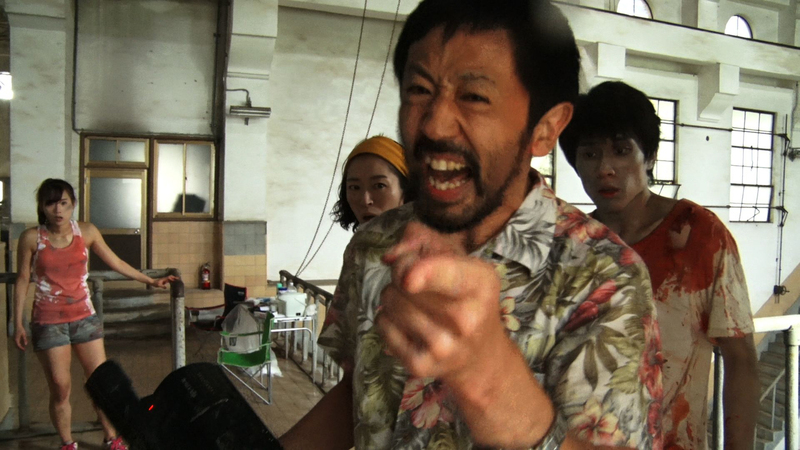 In a fresh and inventive feature debut, writer, director, and producer Shinichiro Ueda, weaves a seamless story of many threads that demonstrates the labors of filmmaking – artistic and logistical. It’s a film that will make you gasp in horror, frown in puzzlement, and then double over in laughter. 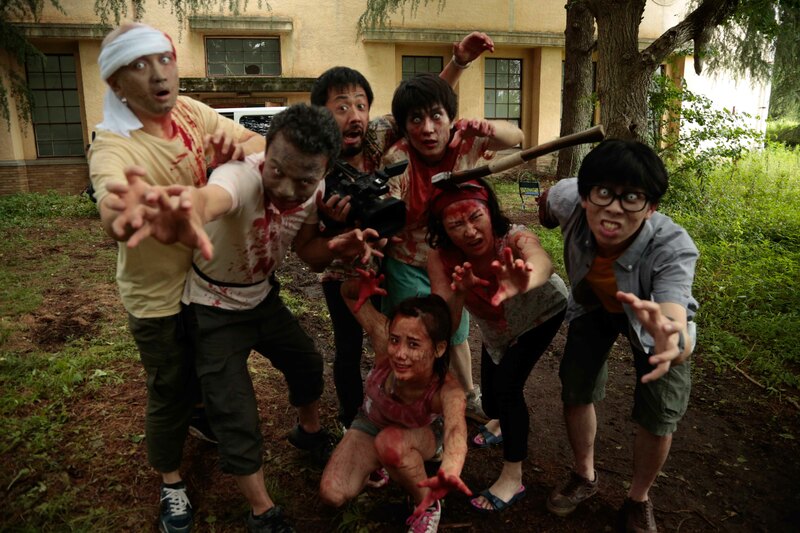 And even though zombies are supposed to be heartless, ONE CUT OF THE DEAD is a sweet and sincere love letter to the art and form of filmmaking, zombie flicks, family drama, and the insane creativity of the horror-comedy genre. A robbery planned for all of the right reasons.